You are currently browsing the tag archive for the ‘wayfarers’ tag. This time last week, I was in Melbourne, probably just finished shooting the second runway show of the night, hopping along to grab a bite before heading back to my friend’s pad at St Kilda because I would’ve been dead tired and eager to see all the shots from the day. How funny that seemed like ages ago but also feels like yesterday. The week was wonderful, lots of running around, a glimpse of the high fashion life. I came away inspired, energised and ready to wear 10cm heels, ALL day, EVERY day! On my first evening at L’Oreal Melbourne Fashion Festival I spotted Hailey, funder of Melbourne street fashion, I introduced myself to her and to my surprise, she’s aware of my blog. Chatting with Hailey were 2 impeccably dressed young gentlemen, I asked to take their photos. They were charming and pretty much in matching outfits. When I interviewed them, they told me they were fashion designers, silly me for not prodding further, it was the next day that I realised these 2 were brothers Tim and Alex of Melbourne home grown menswear label From Britten. The second evening I bumped into them and again took their photos, they turned up just as sharp as the day before. Their style is… hmm… to borrow their words “Classic with character”, but it’s more, much more. 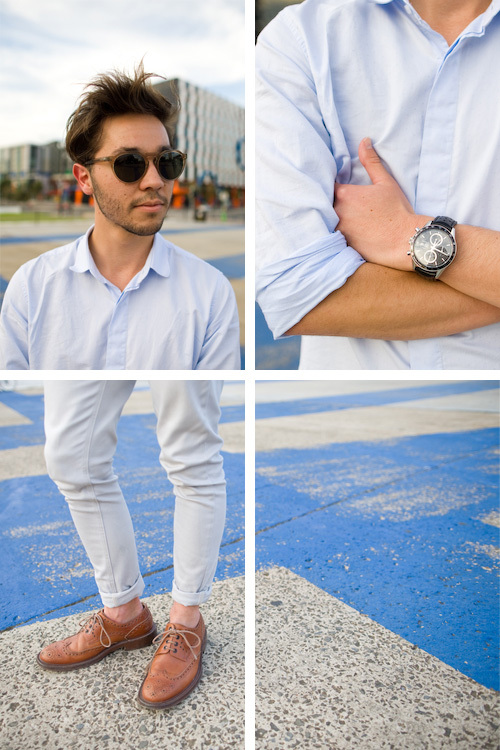 It’s sartorial, simple, yet so youthful, well Tim and Alex are both very young, both in their early 20s I believe. With a successful label already under their belt, these brothers will go far and they’ve only just begun, yet they’ve already achieved much. Alex from the second evening. Describe your style: My style is my own individual style. Favourite fashion labels: Alber Albaz and Martin Margiela. 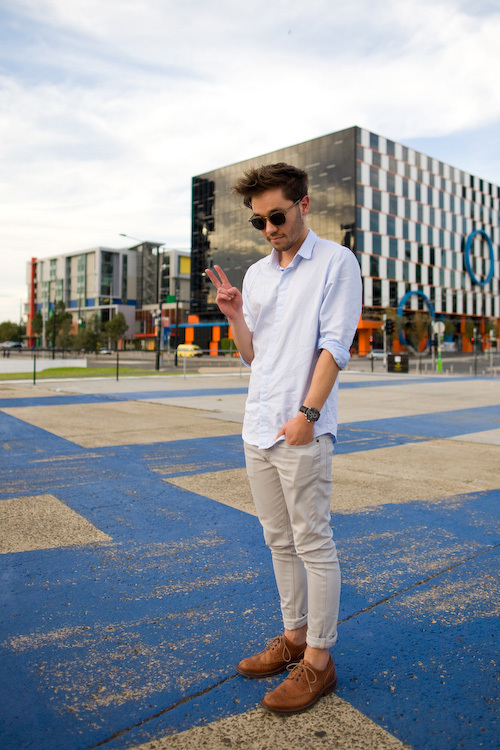 Favourite clothing stores: Giuliano Fujiwara (Tokyo), Topman, Design a space (Melbourne) and Incu (Melbourne). Tim from the second evening. 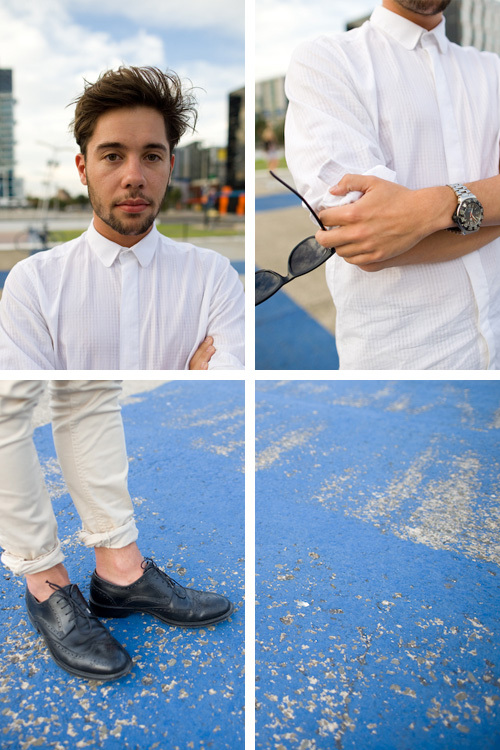 Describe your style: Classic with character. Favourite fashion labels: Martin Margiela, Jil Sander. 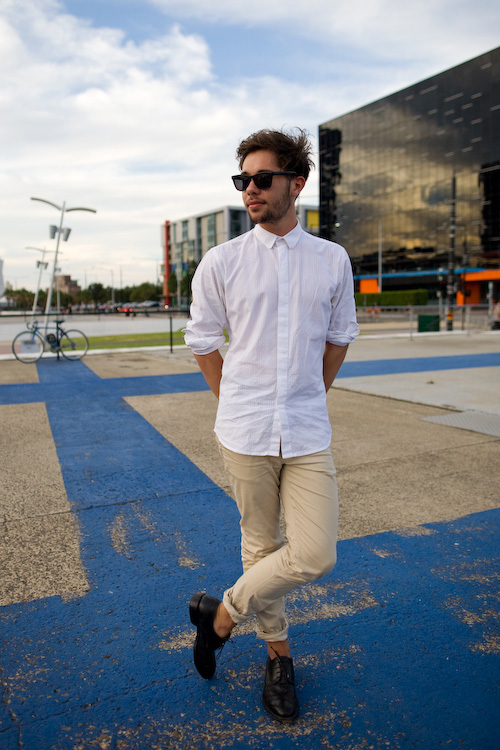 Favourite clothing stores: Isetan (Japan), Fat (Melbourne), Design a space (Melbourne) and Incu (Melbourne). I found an interview of Tim and Alex online from a Melbourne paper, in the article they said they created From Britten because they wanted to design and make clothes they wanted to wear themselves. Arh, if only more young men want to dress like these 2 fine young fellows. Tim from the first evening. Alex from the first evening. Please be sure to check out From Britten and their wonderful clothes and remember to support local Australian young designers. A quickie oldie from the archives. 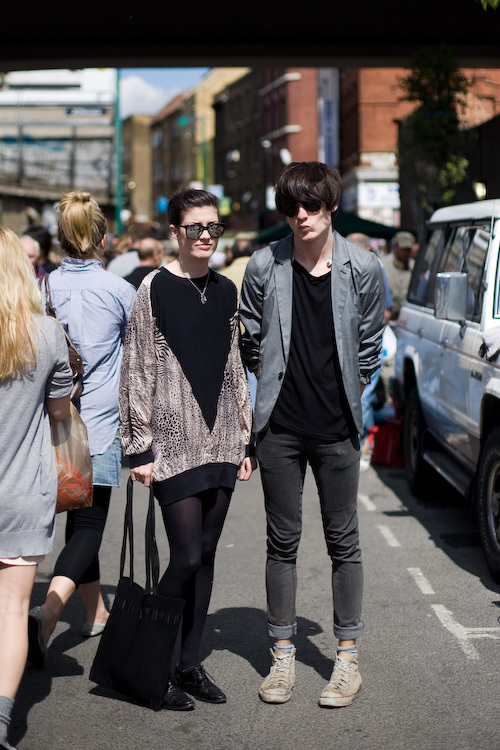 This was shot nearly a year ago in Brick Lane London, both were wearing wayfarers. It’s a trend I didn’t pick up for a few more month and then Rayban brought out their new old wayfarers and now they are just bloody everywhere. I still like them though, I just wouldn’t splash out for the real thing, why? Because everyone has them!